At SERVPRO of Greenville/Cleveland, we are always here to help. Whether you need help with a fire damage or want your carpets cleaned, our office staff can set up an appointment to get you taken care of. SERVPRO of Greenville/Cleveland services the Bolivar, Washington, and Sunflower county areas. We offer Commercial and Residential services such as Water and Fire Restoration, Mold Remediation, Post Construction Clean up, Carpet Cleanings, Upholstery Cleanings, and Duct Cleanings. SERVPRO of Greenville/Cleveland has IICRC Certified Technicians on every job. Please contact us at (662)846-1700 to schedule you appointment. SERVPRO of Greenville/Cleveland is looking forward to hear from you! We are proud to be an active member of this community. 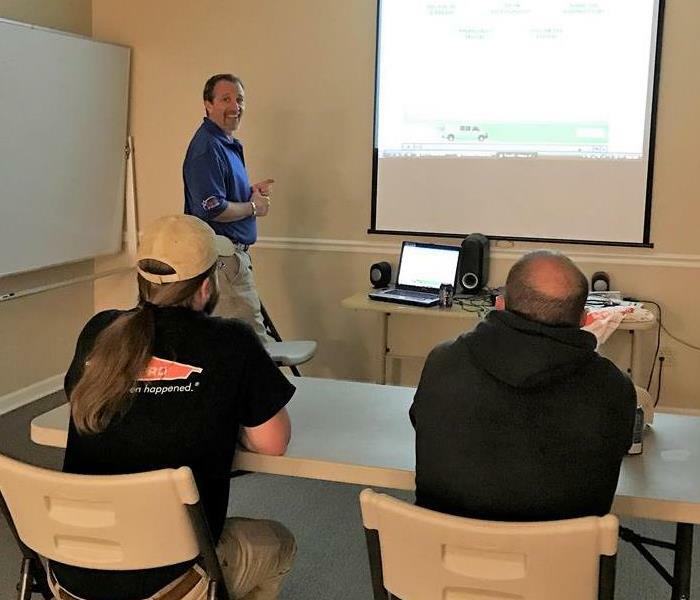 SERVPRO of Greenville / Cleveland is locally owned and operated, so we’re already nearby and ready to help Greenville, MS residents and business owners with any size cleaning or restoration emergencies.